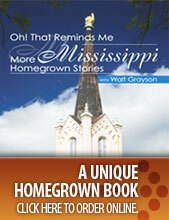 What did past generations of Mississippi women feed their families at mealtime? What did they serve with pride for special occasions? What inspired them to experiment in the kitchen? The Mississippi Community Cookbook Project at the University of Southern Mississippi seeks to answer these questions while revealing the lives of these homemakers. While history tends to overlook their contributions to their families and community, the cookbook project is helping to bring them to light. 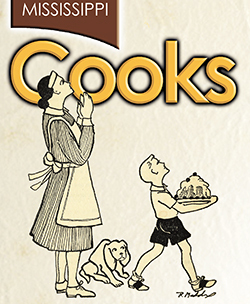 The recipes reprinted here come from Mississippi community cookbooks published in the mid-20th century by women’s clubs and organizations. We have slightly edited some of the content for the sake of clarity. The Mississippi Community Cookbook Project welcomes donations of old cookbooks, recipe cards and other culinary ephemera. For more information, contact Jennifer Brannock at Jennifer.Brannock@usm.edu or 601-266-4347.